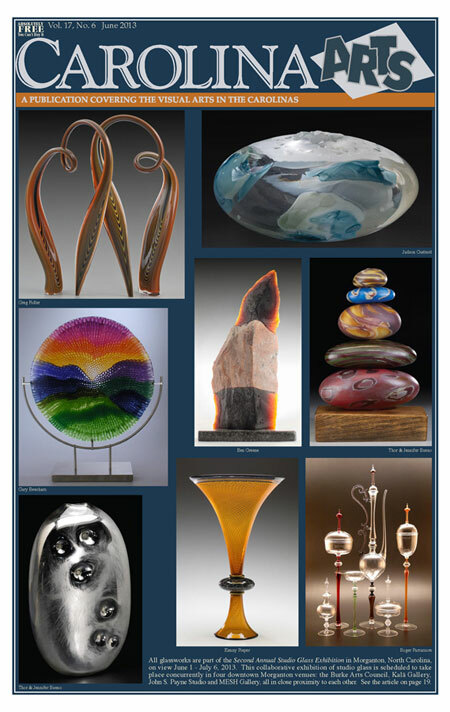 The September 2013 issue of Carolina Arts is up on our website at (www.carolinaarts.com) – all 76 pages of it. It’s the Labor Day holiday so we’re not asking you to work – if helping us distribute the paper to your contacts is work. So when you get back to work – don’t forget about us. But, if you want to get the word out right away – go right ahead. Last month we got over 120 new “Like” on our Facebook page, which would be nice to repeat or exceed this month. 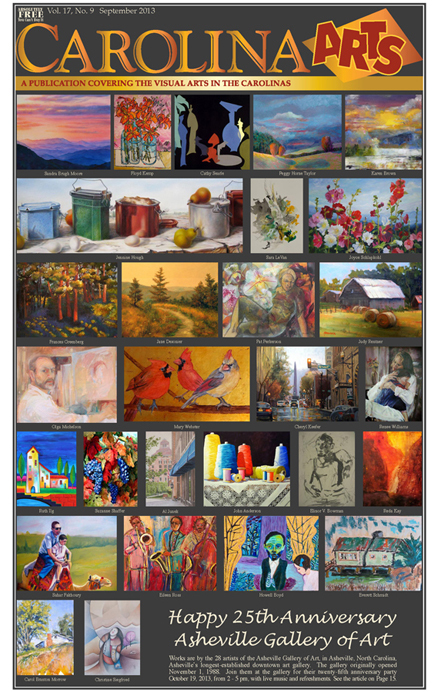 The August 2013 issue of Carolina Arts is up on our website at (www.carolinaarts.com) – all 69 pages of it. This month – like last month – we have a goal of more “Likes” on our Facebook page (at Carolina Arts) and more “shares” of the post we make about the August issue being ready to download on Facebook. We had 76 shares last month – let’s make even more this month. 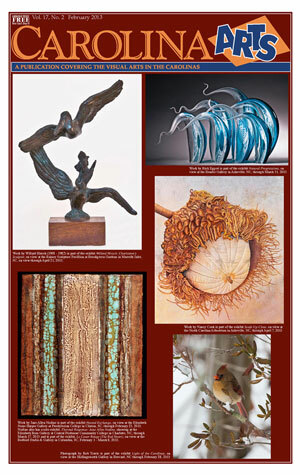 The July 2013 issue of Carolina Arts is up on our website at (www.carolinaarts.com) – all 67 pages of it. This month we have a short message or goal – more “Likes” on our Facebook page (at Carolina Arts) and more “shares” of the post we make about the July issue being ready to download on Facebook. 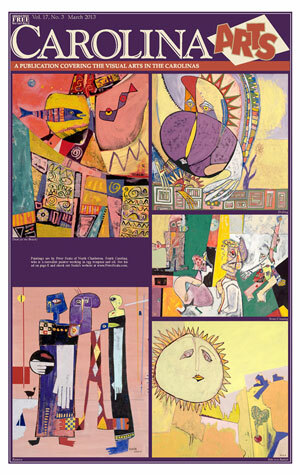 The June 2013 issue of Carolina Arts is up on our website at (www.carolinaarts.com) – all 67 pages of it. Yes, Summer has arrived and some folks stop presenting exhibits during the Summer months. 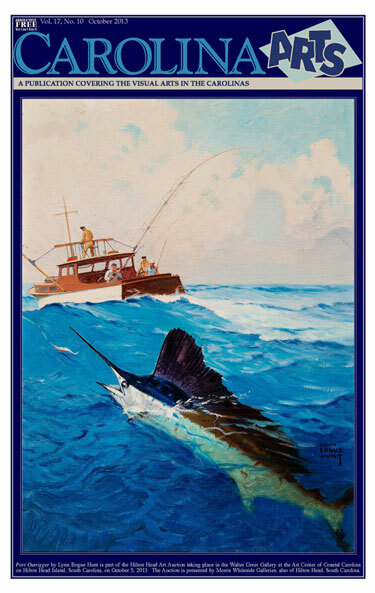 We also had another popular cover and issue last month, but it fell just short of surpassing the April issue. 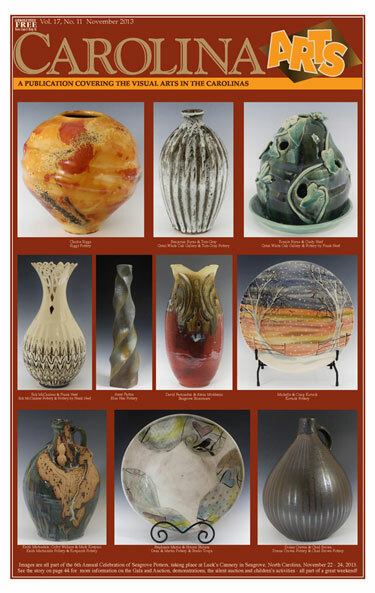 The April 2013 issue of Carolina Arts is up on our website at (www.carolinaarts.com) – all 84 pages of it. We had a very popular cover last month and I think this one is special too, plus we have a big announcement in our commentary. 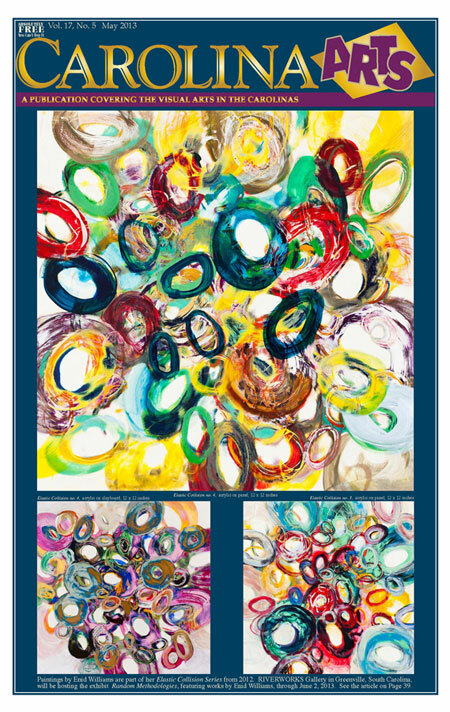 We ask that you help us bring the news about the Carolina visual art community to others by spreading the link for the download around to your e-mail lists and posting it on your Facebook page. Once people see all that is going on in the visual art community they will spread it around to their lists and on their Facebook pages. 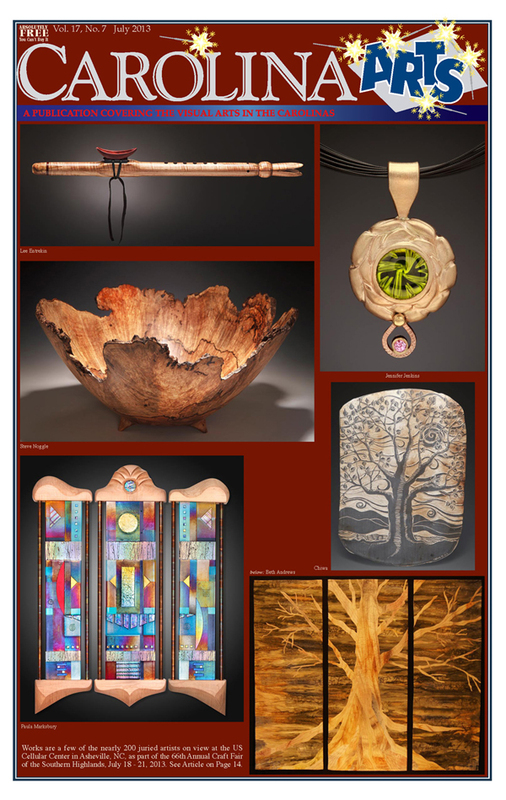 We started using Twitter so you can find us at (http://twitter.com/carolinaarts/). Follow us and retweet our postings. 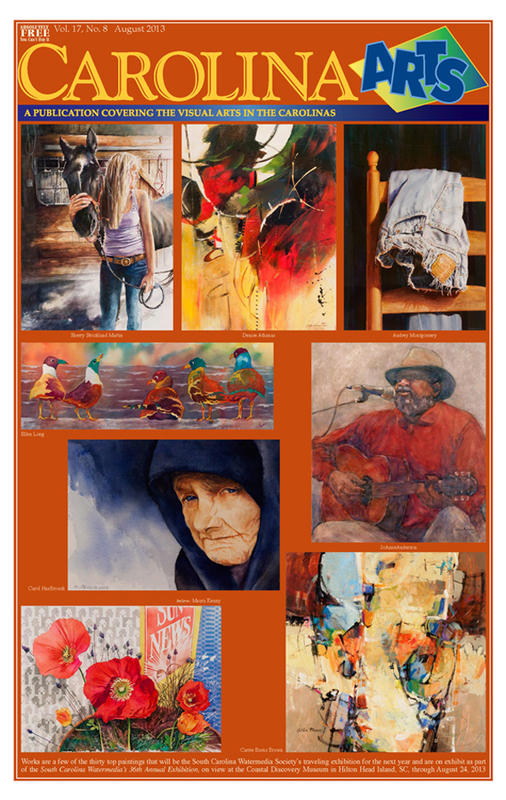 The March 2013 issue of Carolina Arts is up on our website at (www.carolinaarts.com) – all 80 pages of it. We made it before the armageddon of Sequestration takes place. That’s 8 pages more than last year’s March issue – a good sign of growth. 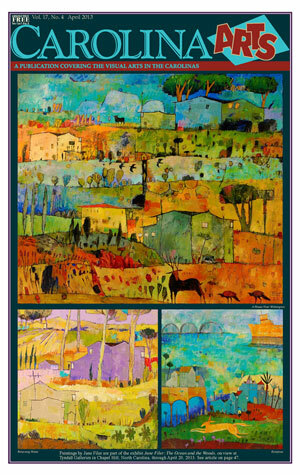 The February 2013 issue of Carolina Arts is up on our website at (www.carolinaarts.com) – all 70 pages of it. It’s a bigger issue due to people finally recovering from the holidays.